Scientists have discovered a hidden dwarf galaxy orbiting our own Milky Way – another piece of the puzzle, and it could change our understanding of how dark matter holds galaxies together. The reason this galaxy has remained hidden is that it’s incredibly faint – in fact, it’s the faintest satellite galaxy we’ve found to date. And the discovery suggests that there might be plenty more of these dark galaxies lurking out in deep space. Finding out more about our galaxy’s satellites could be the key to finally understanding how galaxies form, and the role mysterious dark matter plays in holding everything together. There are already around 50 galaxies that we know of orbiting our own, and roughly 40 of them are faint, which puts them in the category of so-called dwarf spheroidal galaxies. Fifty satellite galaxies might sound like a lot, but the problem is that our current understanding of dark matter and how it helps galaxies form suggests that we should have hundreds of satellites orbiting our own. This is what’s known as the missing satellite problem, and so far, astronomers haven’t been able to explain what’s going on – either our understanding of dark matter is wrong, or a whole lot of these satellites are hiding in plain sight. Now new research suggests the latter might be possible. Until recently, we haven’t had the ability to detect any galaxies much fainter than an absolute magnitude of –8. Absolute magnitude is the brightness of a celestial object as it would be seen at a distance of 10 parsecs away (that’s 32.6 light-years). For comparison, the absolute magnitude in the optical waveband (the waveband we can see) for the Andromeda galaxy is –21.77, and the Large Magellanic Cloud is –18.35. So while –8 is pretty faint, this newly discovered satellite is a whole order of magnitude darker than that, with an absolute magnitude of –0.8, making it the faintest satellite galaxy yet found. The new satellite has been named Virgo I, because it lies in the direction of the Virgo constellation in our night sky. Virgo I was discovered using the 8.2-metre Subaru Telescope in Hawai’i, and because of its large aperture, it can take in a whole lot more light than other telescopes. The Subaru telescope was able to scan a large section of the night sky using a tool called the Hyper Suprime-Cam (HSC), and looked for any areas with an over-density of stars. It was then able to examine those regions more closely to look for evidence of very faint galaxies. Based on this data, it was able to isolate the incredibly faint dwarf galaxy Virgo I, which is around 248 light-years across, and lies around 280,000 light-years from our Sun. 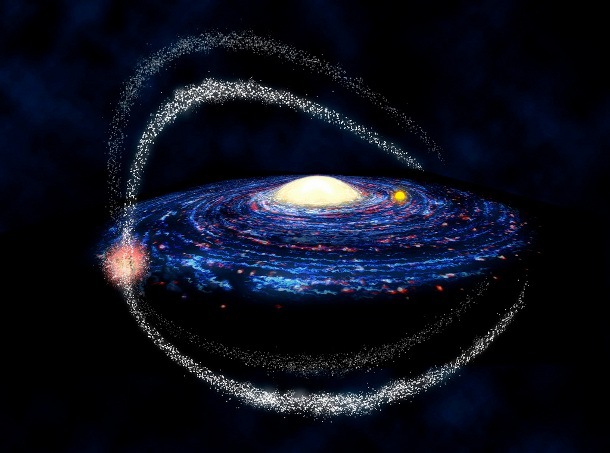 “We have carefully examined the early data of the Subaru Strategic Survey with HSC and found an apparent over density of stars in Virgo with very high statistical significance, showing a characteristic pattern of an ancient stellar system in the colour-magnitude diagram,” said one of the researchers Daisuke Homma, from Tohoku University in Japan. “Surprisingly, this is one of the faintest satellites, with absolute magnitude of –0.8 in the optical waveband. This is indeed a galaxy, because it is spatially extended with a radius of 124 light years – systematically larger than a globular cluster with comparable luminosity.”The exciting thing is, now that we know how to detect these ultra-faint galaxies, we might be on the verge of discovering a whole lot more of them. And that could show that our understanding of dark matter and galaxy evolution is right after all.